I like this idea. I hope it happens. If we get Metrotitan, they could also have a pack with Metrobomb (retool one of the other Micromasters) and Metrogun. I would love that as some kind of exclusive. I'd just love if the Waverider version of the Pretender shell gets even a regular release! As much as I'd love for that to happen, it seems awfully iffy. If they didn't feel like they had the orders to justify the shell before, not certain why they'd change their mind now. We know less than 3000 Grand Maximi were made...TT would probably be a little hesitant to produce the corresponding toys at that small of a run, even as a Mall Exclusive. Here’s a simple side by side comparison for now. 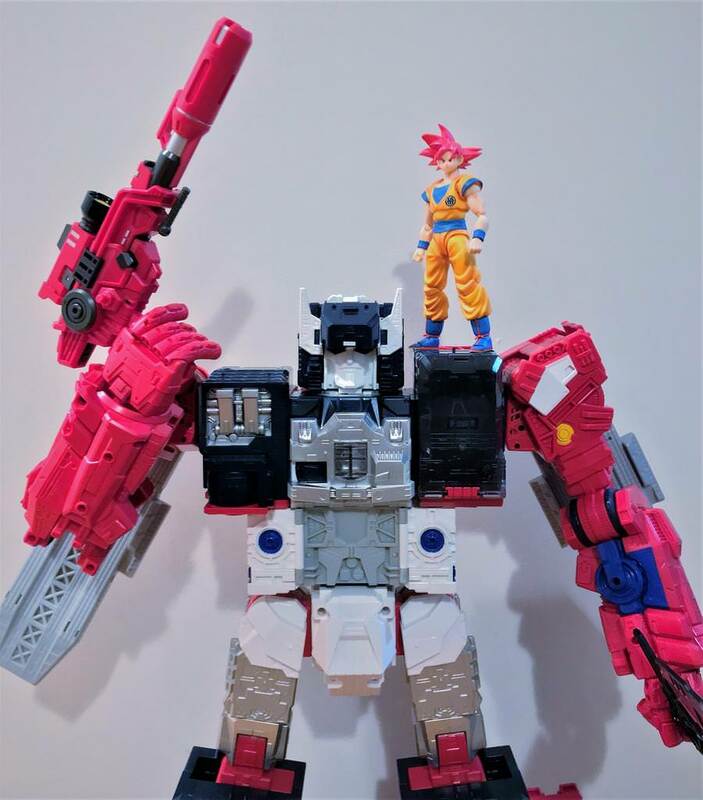 I need to mess with the MMC figure to remember how to transform him if you want any alt mode pics. £119.99 on kapow toys’ Black Friday sale today. 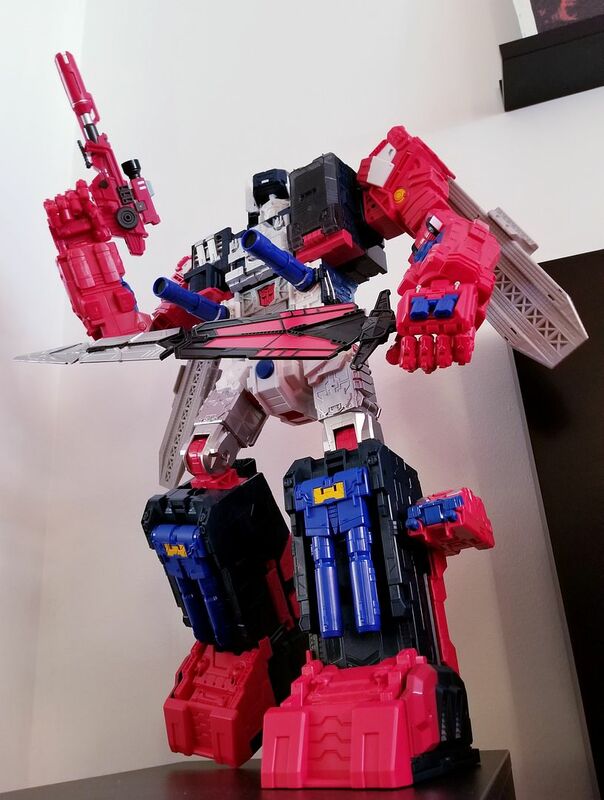 I didnt intend to buy Grand Maximus when he was announced but seeing him for that price, I just had to cave in. I don’t have Fortress Maximus or Metroplex so he will be a new mold for me. Just got him delivered today from TFSource, really don't know why I waited so long to get a citybot. Question about the main head, is his forehead supposed to click above the face after transformation from bot mode or does it just stay in place. Mine is a little loose and moves down with the slightest touch.